Book Montrose Bowl for Your Next Special Event! 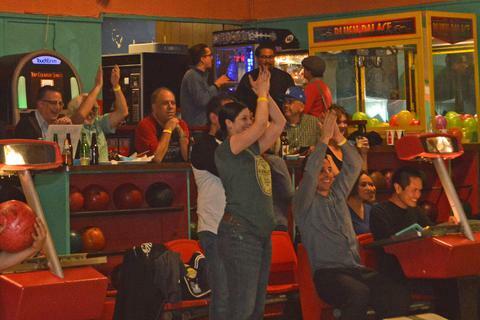 Offering eight usable vintage bowling lanes and lots of event and entertaining space, Montrose Bowl is one of the smallest bowling alley operations in Los Angeles County. Montrose Bowl opened in 1936, and owned and operated by the Berger Family for over 30 years. Son Bob Berger is now sole owner. Montrose Bowl is an ideal location for every occasion! From corporate events to birthday parties, from theatrical to filming venues, our guests come to have fun! Our throwback 1950 era decor and fun party atmosphere make Montrose Bowl an enjoyable and memorable event venue! Montrose Bowl available for the filming of major motion pictures, television shows, and TV commercials as well as print and internet media photography photography sessions. 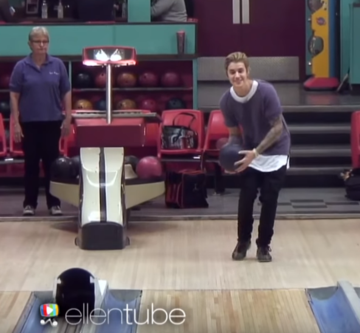 Ellen asked Justin to be on her new hidden camera show, and he was incredible at MONTROSE BOWL! 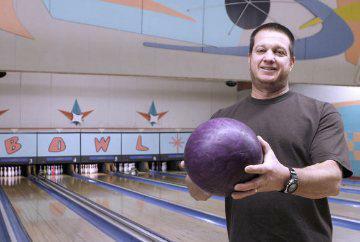 Meet Bob Berger, Montrose Bowl Proprietor. Contact us to book your party today. It's never to early to hold your party space! We specialize in private parties! If you have yet to visit Montrose Bowl, in Montrose, California or you haven't been here in a while, it's probably time you did! Remember to make your reservations early as space fills up fast (especiallty during the busier "party times" of the year). We carry over 70 different beers from around the world, as well as wine and soft drinks. With advanced notice, we also offer delicious burgers, hot dogs, french fries, onion rings and more -- we can cook for you, you can cook or bring in your own food or catering. Read our Rental and Menu and Planning pages. You follow us on Facebook (if not, follow us now! Be sure to follow us on Instagram too: @Montrose.Bowl ...Our new business profile started in December 2018, tag us! 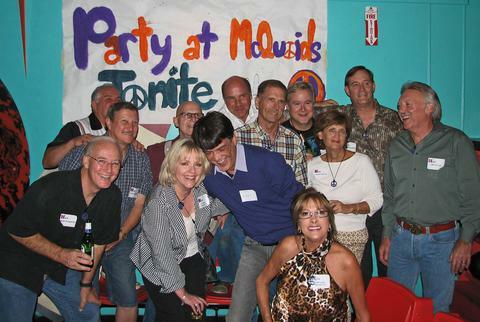 Let Montrose Bowl Host Your Next Party! We hold parties for companies, communities, schools and families. Montrose Bowl is a unique space for wedding showers, bachelor and bachelorette parties, wedding rehersal dinners, wedding receptions, baby showers, kids parties and more! Book your party or corporate event today! *This facility is set up for parties and events only. We only offer individual or small group bowling under certain circumstances. Please call in advance to check for open bowling hours, but understand that we are NOT A PUBLIC BOWLING ALLEY.